Sunrise On Taos Mountain, Taos, New Mexico, February 2007, photo © 2007-2009 by QuoinMonkey. All rights reserved. A new year-long Writing Intensive with Natalie Goldberg begins Monday evening in Taos, New Mexico. 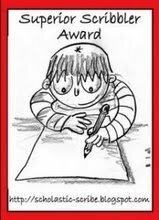 Some of our writing friends will be there for the first week of writing in silence. They will return three more times with the same group of writers — in different seasons, with different books to read, as different people. A year of silence changes you. ybonesy and I met in a Writing Retreat with Natalie and subsequently signed up for Natalie’s second year-long Intensive. red Ravine is one of the creative endeavors born of that time. Gratitude to all the writers who show up to sit together, walk the morada, write haiku, swim in the Rio Grande, rise for morning meditation. Who keep coming back. Who show up for each other through joy and pain, through laughter, tears — times when it feels like their minds are trying to kill them. Gratitude to mentors like Natalie who continue to teach us what they have learned about the practice of writing, no holds barred. If you have any thoughts about writing or artist retreats you’ve attended, large or small — Iowa, Oregon, Georgia, California, Wisconsin, Paris, London, Nova Scotia — we’d love to hear them. 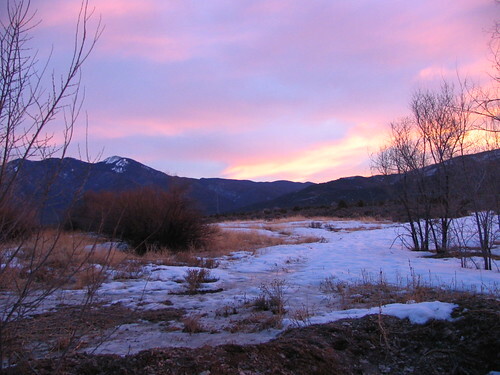 Below are a few links from writers who have shared their Taos experiences on red Ravine. We are all there, sitting and writing in solidarity. Thanks to the Spirits of Mabel and Tony, and all at the Mabel Dodge Luhan House who work together to make these writing retreats possible. To the writers who came before us. And the quiet strength of Taos Mountain. Gassho. — meet a group of women who first met at one of Natalie’s Writing Retreats in Taos and continue to write together. Read the story of the mystery of the Petroglyph Rock in Mabel’s courtyard. A Letter To Agnes Martin And A Surprise Reply — the story of a writer who meets a great artist at the Harwood Museum during one of the Taos Writing Retreats and the conversation that ensues between them. Homing Instinct — when he was 16 or 17 years old, ybonesy’s father worked one summer at the Mabel Dodge Luhan place. She said Mabel herself was gone, but an English author hired her father to help put in the flagstone. Read more about ybonesy’s journey. Sitting In Solidarity — the experience of Taos on one December retreat with photographs of the zendo and grounds at the Mabel Dodge Luhan House. When you spend a year in community with other writers, it recreates the dynamics of family — for better or worse. Healing. Or letting go. The Last Time I Was In Taos — The Great Mantra – when you sit with other writers over a period of a year, babies are born, mothers and fathers die, relatives pass on, people fight and forgive, all right here, right now. Silence creates space to receive, and let go. More about the Great Prajna Paramita Heart Sutra. If You Could Go Back In Time — Mabel headed to Taos in the 1920’s. It was a New Age when many writers and artists were co-creating artists’ colonies and writing spaces all over the globe. A fotoblog of Mabel’s and some history about the writers and artists of that time. Explores the value of place and home, including Kiowa, the D. H. Lawrence Ranch just outside of Taos, New Mexico. by QuoinMonkey. All rights reserved. Taos Mountain — the Mountain is sacred to the Taos Pueblo Indians. You can feel her presence always there, sitting, walking, writing — rain, snow, wind, and hail. Summer heat, freezing nights, spring mornings, cottonwood afternoons. She is there. You can see more of her in: haiku for the years , mountain haiku , Taos Mountain Haiku, Missing The Mountain. Or in the photo set Taos. I’ve been without internet access since sometime yesterday afternoon, and then suddenly it came back on. Amazingly, my sciatica is also suddenly and finally no longer causing pain. I can feel it at times, but I am almost back to normal. And it was sudden—yesterday I was down and out until about noon. I got up, took a shower, and then I felt almost normal. It ached some last night and this morning, but today it is even more normal feeling. Whew. What a trial! Glad to be back. My deepest gratitude to you for keeping things together on the blog. i love this post and i have been drooling over the links and the photos. as you know, i went to see natalie in charleston last month and i fantasize about the year-long intensive. maybe i can apply for 2010! it sounds so wonderful. I put a load of clothes in the washer and retired upstairs to the computer. Tomorrow morning I leave for Taos for the intensive which starts Monday evening and runs through Saturday at noon. Five of us (that I know of) have returned from the last intensive. I will join two of them in Albuquerque for the drive to Taos. It will be like returning home. My heart holds some sadness because most of the people from the first intensive will not be in this one. Times change. People change. That intensive changed my life, introduced me to many wonderful people, and acquainted me with their lives in a way that would normally require a hundred years or more. That gift alone was worth the money, time, and trips. Every morning I go around the zendo in my mind: Lorraine, Janine, Cricket, Ryder, Celie, Celeste, Beth, Sharon, Gwen, fireplace/altar, Natalie, Feroza, Roma, Barbara, Deborah, Sharyn, Neola, Franny, Laura, Jude, Saundra, Joanne, Jonathan, Debra, and Teri. I think of Denise who was killed in a car accident with her husband, John, between the first and second week. Many of these people have become a part of my everyday life. The intensive blessed me in ways I don’t even realize and continues to do so. Carolee, I hope that you have the chance to attend an intensive. It may well change your life. yb, so glad to hear that you are feeling better. Good to see you post here. Was worried. QM did a great job while you were sick. I feel homesick for Mabel Dodge & Taos, and much of me wishes I was leaving for New Mexico tomorrow–just like Bob. I want to meet up with friends at the airport and ride together, heading north. I’d like to sit in the zendo in silence. Or close my eyes and listen to Natalie talk about writing. I’d like to see my stocking-feet hitting the wooden planks to slow-walk. Being on the Intensive gave me a strong back. It made me decide to get serious. The extras in my life have fallen off layer by layer after sitting in that silence; I’m nearly down to just the essentials. Many blessings and much love to the people who will meet in the dining room Monday night. We’re with you! Safe travels, Bob. If you have a chance to visit in Albuquerque on your way back, let me know. I’ll send you my cell phone number via email. It would be great to say hello in person. So great to read these comments. ybonesy, welcome back. Glad you are feeling better. Hard to believe the end of the last Intensive was about this time in 2007. Yet we continue in this form of practice on red Ravine. I know what I learned there during that year went very deep. I am still feeling the effects of the practice and silence. Would you ever do another Intensive? Carolee, sounds wonderful. I do hope you get to one of the year-long retreats. Really changes a person. Lots of things come up to work through, too. Lots of laughter. Lots of tears. Face to face with our own Monkey Mind in life-changing ways. I’ve never experienced anything else close to it. Teri, we’ll have to live vicariously through the other writers during this year-long Intensive. But it does make me a little homesick to be in Taos again. This post started as a simple haiku. Then after Arlene commented on a Taos post last night, I started digging into some of the other Taos posts and wow, sure missed the land, the Mountain, the zendo, Natalie. But I feel close to all who sit there. We are all one; all there in Spirit. We carry it inside every day. Bob, safe travels. I didn’t know there would be at least 5 from the Intensive we did together. Last night there was a comment from another writer who will be there. I think I might have met her the summer after the Intensive ended when I was in Taos again. BTW, I’ll have to make adjustments to the dates. I forgot the dates had changed. Didn’t the retreats used to start on Monday mornings and go through Fridays? Now it looks like Monday through Saturday. I’ll make those changes in the piece. I also noticed that I wanted to put one more link in this piece — your experience of the trip to Ghost Ranch when we wrote haiku. I’ll do a revision tomorrow morning and add that piece along with the other Taos experiences in the post. I can’t wait to hear what kind of field trips you all will do during this Intensive. Remember the Sugar Nymphs. Was that the name of that coffee shop? QM, seems to me that they almost always started on Sunday. Don’t know why (if) it changed to Mondays. I think you could probably leave off the link to the piece on “Goat Ranch”. I don’t want to scare people away from an intensive. I think it changes people’s lives OR maybe our group was unique. Guess I’ll find out tomorrow. Are you thinking about Cafe Tazzo and that day 25 people descended on the laid back workers who thought a tourist bus had let out a thousand people on the street in front of their place and we were SILENT so that added another strange dimension to the place. We filled the whole place. I remember the stuffed, baby gorilla. yb, sent you an email. Don’t know that I can call either direction. Coming home is more likely. I plan to keep a notebook of this intensive experience. Of course, I will make comparisons, but that’s okay. Hopefully, no more slow walking across the Rio Grande Gorge Bridge as we dodge semi’s speeding across it. Who knew a metal bridge could bounce that much so FAAAAAAAAARRR above the bottom of the gorge. Unnerving! Well, must finish packing and run some last minute errands before I leave for the airport. I’m taking you all with me to Taos. Bob, yes, that’s what I remember, too. We arrived in time for dinner Sunday evening, and the silence started Monday morning. Everything ended at Noon on Friday. Sounds like it’s been moved a day forward, start to finish. Okay about the Ghost Ranch piece. I did link to the haiku (one-a-day) piece though, where I talk about learning the practice of haiku with Clark Strand’s book. I had wanted to add that piece about writing haiku during that Intensive. I know many of us still practice haiku once a day as a result of that. I do remember that day at Cafe Tazza when we all descended in silence into the main room. It’s always so strange for the outsiders when we go some place as a group and sit and write in silence. Amazing for the group though. I remember another cafe we had to travel a bit to get to, nestled in the mountians, run by two former monks, I believe. Pretty sure about the Sugar Nymphs part. Just not sure which retreat that was. We went to the Sugar Nymphs Cafe the first week. It was in Penasco, I believe, and we drove out in silence. Could choose from giant chocolate chip cookies, chocolate cake, and some other decadent delights. And of course, coffee, lattes, tea. And then we toured the theater where the local schools do rehearsals and plays. There was an old reel-to-reel camer there, I think, that looked like something Alfred Hitchcock might have used to make films. And the seats had been rescued from an old theater somewhere. ybonesy, yes, I was sure I had remembered the Sugar Nymphs. Penasco. And those desserts. 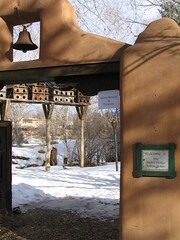 I think Sugar Nymphs is also one of Alice Walker’s fave places to visit when she’s there in New Mexico. Can’t remember right now where I read that. I remember the theater, too. It was really cool, old film cameras. There were lots of hidden rooms, hallways, and doors in that place. I think I took photos but they might have been on C-42 film and not digital. I’ll have to try to locate them. I did want to mention to other readers who might not have taken a Taos workshop and are getting sticker shock when they go to the MDL link and look at the price of these workshops — what Bob says is true — it’s worth the money and you are actually getting a steal for that price, for everything you receive. It’s actually a labor of love for Natalie to do these workshops. And the same for the Mabel Dodge staff. They are only breaking even. It seems like a lot of money and it is. But don’t ever let that stop you from applying if it’s something you are really interested in and are hungry for. None of us who have attended these workshops are rich by any means. And it’s been a stretch for us to get there. Taos is an out of the way place, and it takes great effort to travel there. It’s not a direct flight and you often have to take a second form of transportation, either the van to Taos from ABQ, or renting a car and driving there. I think Natalie likes that’s it’s out of the way. And she loves Taos. In order to attend these workshops, you have to really WANT it and be willing to show up for yourself and your writing. I have driven to Taos for these workshops many times, and love the travel time alone. The drive to and from is wonderful if you like road trips. Back to the money — apply if you are hungry for it. I found that I could then save up and pay in smaller increments. There is also some scholarship money available. One thing I have discovered about writing workshops and retreats — if you make Great Effort to show up with your part of the deal, the Universe will follow and conspire to help you, even with the $$$. It is Providence. 8) So go for it! Yes, the Intensive is worth every nickel! I can fritter away money like nobody’s business, and never know where it went. But the money spent to study with Natalie for a year is one of the best investments you can make in life. And much to my surprise, two years later, I continue to reap the benefits of that year. I think I may be reaping benefits for the rest of my life. What can you say that about? Hi Friends — I’m here in Taos, too. Nat invited me to assist with the intensive this year … but asked me to keep it a secret until we’d arrived. Bob said that our friend S. from Texas burst into tears this morning, sad that all our intensive buddies weren’t back here with us. He asked her to stop or said that he would start crying, too. After reading this post, I am thinking that you ARE really with us in a number of important ways. I will hold space for you in the circle. The intensive starts after dinner tonight. Today is a day to explore and play in Taos. I am staying in the Jeffers room, which I love, but didn’t know it existed till now. I saw this sunrise out the big window in my room this morning, QM, and thought of you. What a wonderful opportunity, breathepeace. I think you are perfect to assist for the Intensive. You have a calming effect, with your voice and your presence. And to think you will get to be in Taos for four weeks in a year’s time. It is a gift. I hadn’t heard of the Jeffers room. Is it in the main house? Big hugs to you and the rest of the folks from the last Intensive. And to Natalie. I am thinking about you all. I feel my own writing program energized today just knowing you’re there. Soak it up! Many of us are holding you out here in the clanging-banging world. I’m glad you’re holding us in the zendo’s circle. breathepeace, I’m in agreement with ybonesy. You are the perfect candidate to assist at an Intensive. Not only your calming effect and kind smile, but you have a generous spirit, a huge heart. I’m happy for you. Thank you for holding space for us in the circle. I’ll be thinking of all of you. I can see the place perfectly. How wonderful you saw this sunrise this morning. I’m not an early riser, but when I’m in Taos for the retreats, I always rise for the morning meditation and get to see the sunrise on Taos Mountain. Most days the morning mountain is saturated in these muted pinks and reds. And the smell…ah, that Taos morning smell. Give Natalie a big hug for me. And also hugs to those we shared the Intensive with. I’m a firm believer that all those who have ever passed through those spaces have left a little of themselves behind (including Denise who Bob mentioned). It’s so strange to be so far away, yet feel so connected to a place, a practice, a teacher, a group of writers. Have a wonderful week. I love the smell of Taos. When you said that (or, rather, I read it) I thought of how Jim and I always talk about moving to Taos some day. I don’t know if we will, but it’s a shared dream, to live somewhere in northern NM, where you can see the stars and smell the earth. I’m finding the world especially fast this week. Too fast. Too much clutter and speed and noise. I need more silence it seems, and I’m sure it’s because dear friends are in that sacred circle in Taos. I’m still jealous that I’m not there with them, but their work is helping me come to my own meditation more easily this week. Sometimes I’ll look at the clock, and feel certain I know if they’re writing, or eating dinner, or listening to Nat teach. I’m getting ready to go for a short weekend writing retreat on Lake Michigan with a few Midwest writers. I met two of them in Taos at a writing retreat with Natalie. I feel calm when I read over these posts about sitting in silence in Taos. I like the silent writing retreats the best. If I’m not mistaken, I think this year-long Intensive with Natalie will be ending October 24th (starting the 19th). I wonder how those who participated in this year’s Intensive feel about the experience. For me, I didn’t realize until well after the year-long Intensive was over how much it impacted me and my life. Thinking of ybonesy, Teri, breathepeace and any other writers who are headed to Taos, New Mexico today for the beginning of a slient December Writing Retreat. When students head to Taos to study with Natalie, I feel like they sit for all of us. I sit with them. Breathing in for Taos Mountain. Breathing in for the world.